I very, very rarely miss my weekly deadline, but last week I took time off to go to the funeral of a friend’s mother, and to stand by my husband during some medical procedures. Life happens to all of us. And luckily I was able to be there for those I care about. The Alamo in San Antonio, Texas is a former mission and fortress, built by the Spanish Empire in the 18th century. In 1835, during the Texas Revolution, it was the scene of a pivotal battle for independence between the Republic of Texas and Mexico. Do you remember the Alamo? Today’s website picks explain why you should. This official Alamo site is my pick of the day because of its overall quality. Excellent clicks abound, but here are few of my favorites. Letters home and first-hand battle accounts written by members of the Alamo garrison can be found in In Their Own Words. Just for Kids is a collection of online Alamo games, such as word search and sliding puzzles. 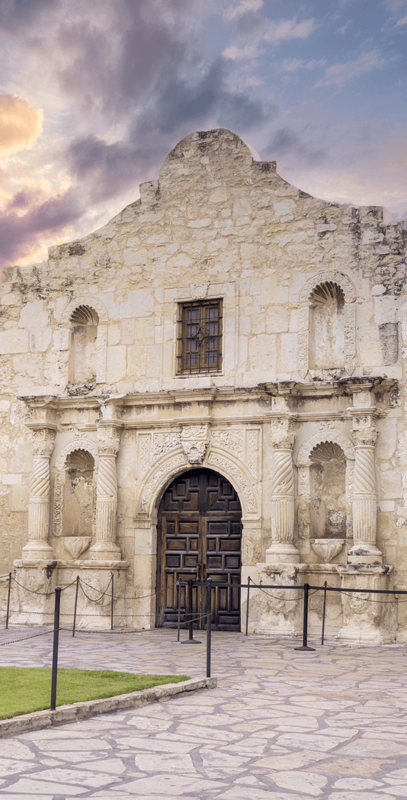 History Hunt is a fill-in-the-blank quiz found in Educational Resources/Visiting the Alamo. The Battle recounts history, with a chronology, a page about The Defenders, and a section exploding Myths and Misconceptions. Mr. Donn: Western Expansion: What is the Alamo? “It’s not so much where my motivation comes from but rather how it manages to survive.” ~~ Louise Bourgeois ~~ (born December 25, 1911) French artist and sculptor. Click this link for more quotes about self-discipline.